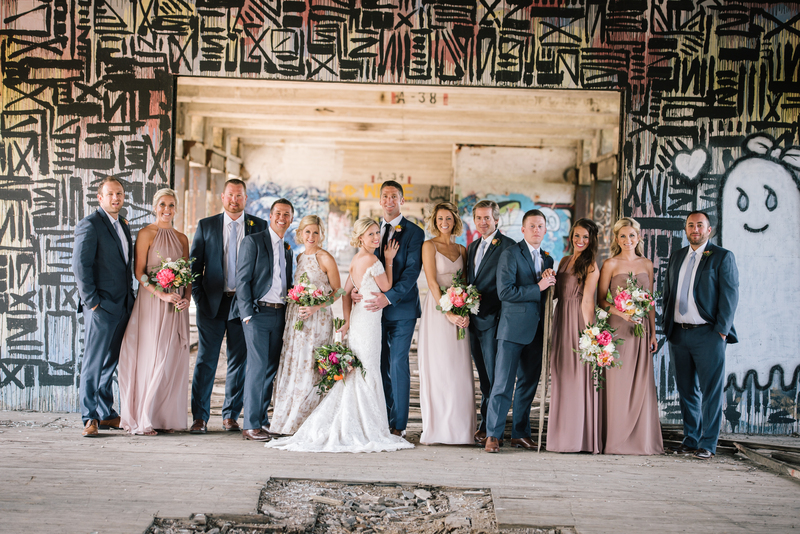 In case you a wondering what a dream bohemian chic wedding would look like...this is it! 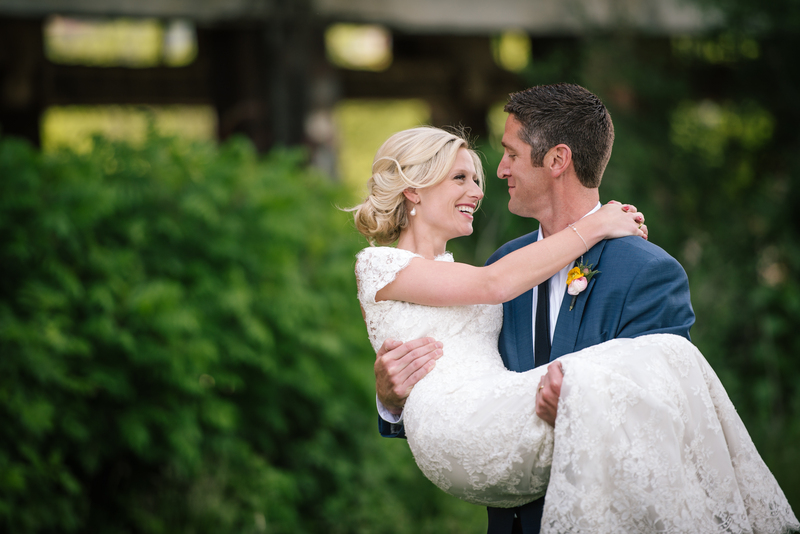 Emily & Drew's wedding vision came to life with their stunning St. Louis wedding! 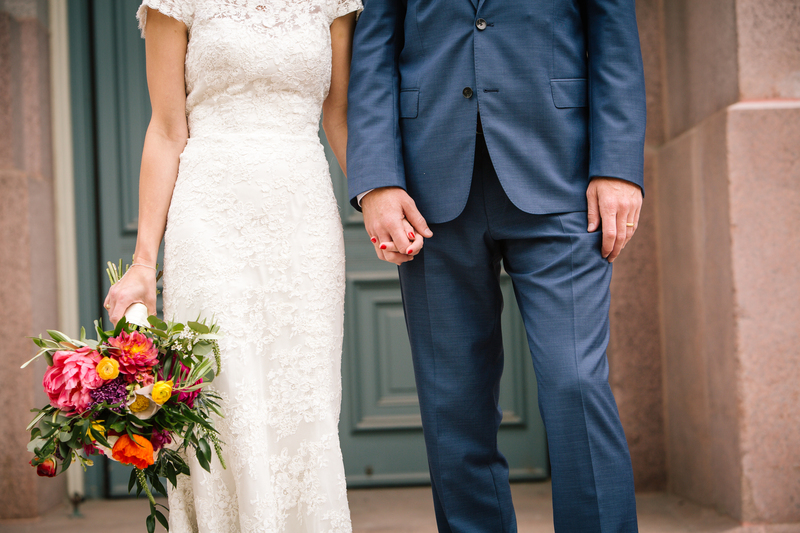 Delicate florals, romantic drapery and the sweetest bride and groom ever! Drew and I met in law school. Remember the Harlem Shake dance craze? (Refresher Here). I met my husband at a Harlem Shake music video recording party - no shame, it was so 2013. After the “recording session” I started talking to a guy that was wearing a hockey facemask, neon shorts, and no shirt- little did I know, that we’d be inseparable from that day forward and someday that goofball would be my husband. After we met the saying, “when you know, you know” clicked for both of us. Since we were both still in school, a mid-2016 engagement seemed like a realistic target. Or that is what I thought the target date was. Drew had a better idea that totally surprised me. He proposed on December 12, 2014, nearly two years before I thought it was coming- talk about an awesome surprise. We road tripped up to Chicago for the weekend. 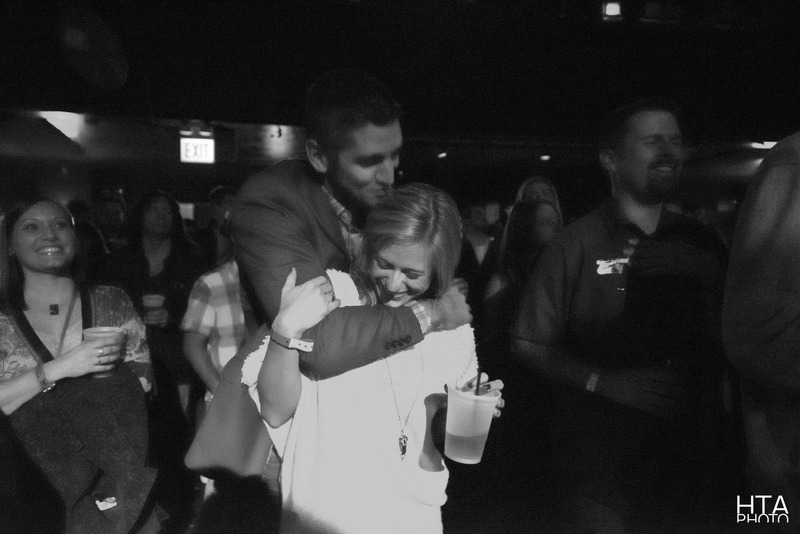 When we left our hotel for the night, he walked me down to the Chicago River and got down on one knee. I immediately started bawling and of course said yes. We spent the rest of the weekend celebrating with close friends. It was perfect. 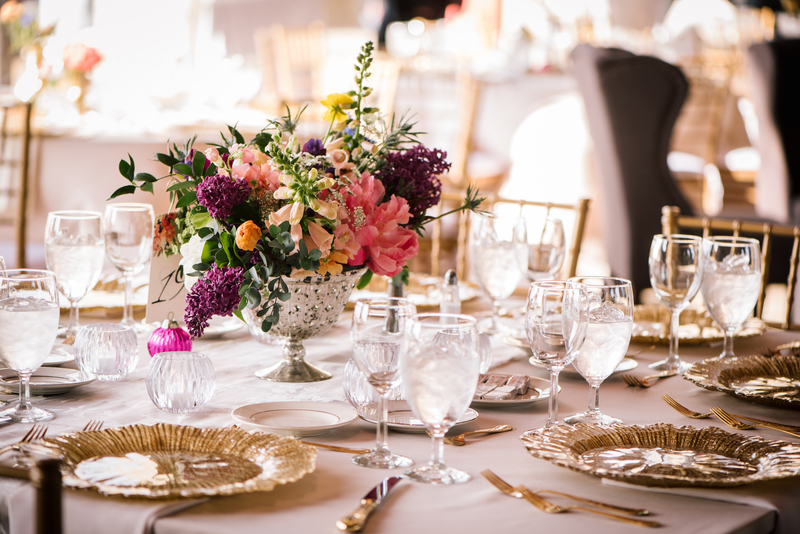 We first eliminated the traditional ballroom type venues, while beautiful, the vibe did not quite jive with the early stages of my bohemian vision. 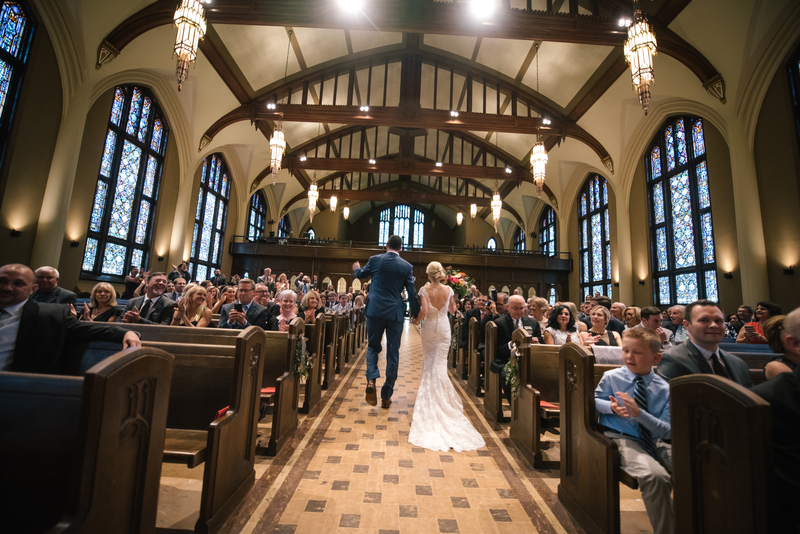 It was important to us that the venue’s style felt unique to us a couple. After looking at several local venues, we started considering the possibility of a destination wedding. Then, we saw the World’s Fair Pavilion in Forest Park. 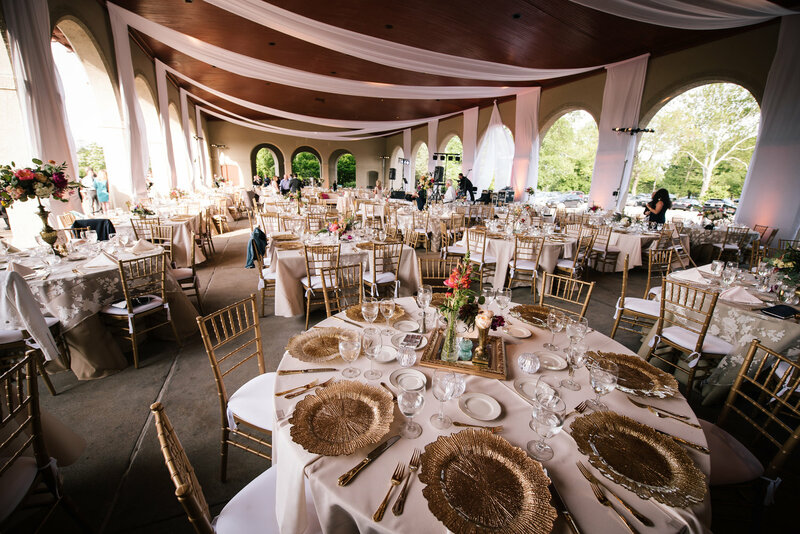 My imagination ran wild with the vast number of wedding design themes that could come to life in this space - classic, bohemian, romantic, soft neutrals, eclectic, polished, wild, vibrant etc. Then I thought, why not do them all? 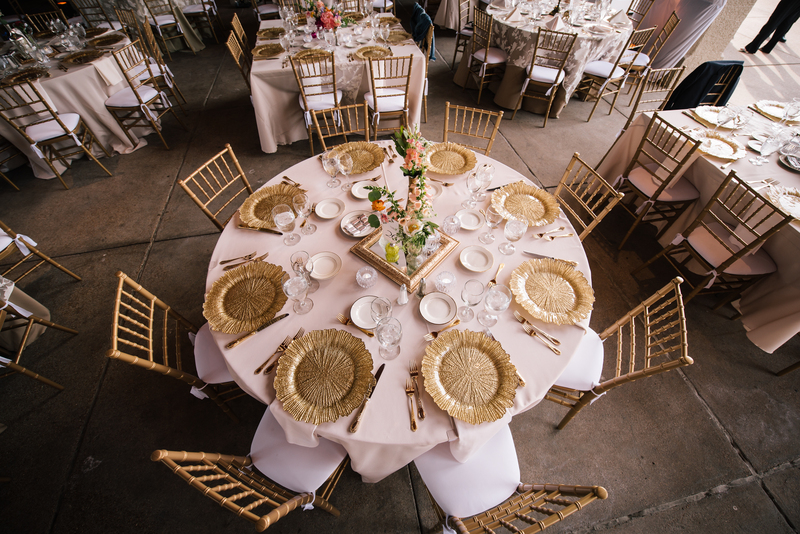 Essentially, the WFP was a blank canvas with a gorgeous view and we knew it was the one. 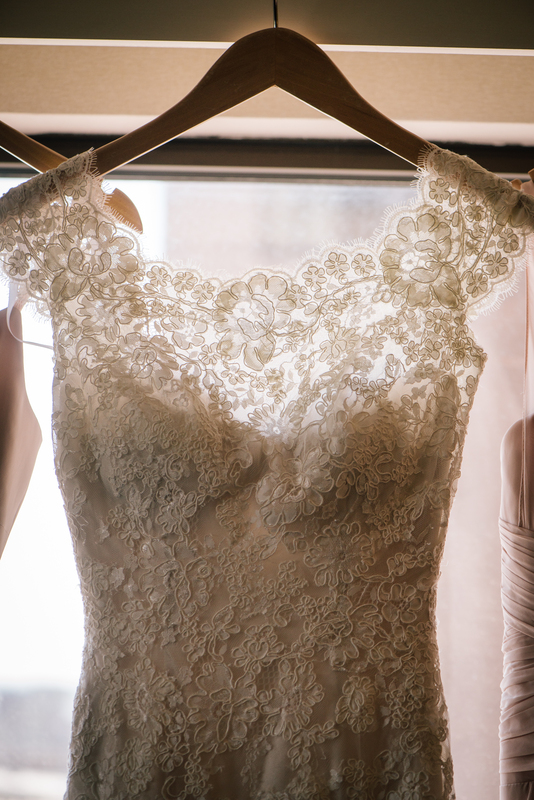 Allure Bridal Collection- purchased from Clarice’s! Magical. Bohemian chic yet elegant. 75 and sunny. Breathtaking sunset. Surrounded by loved ones. Marrying the love of my life. 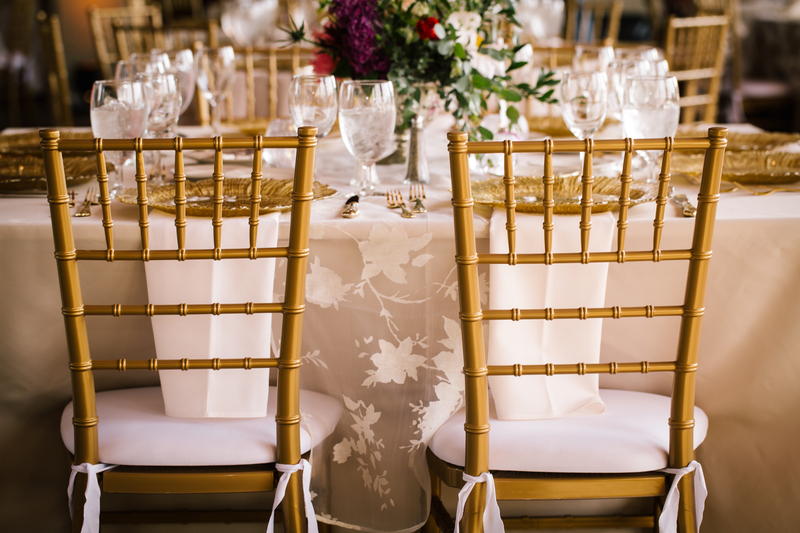 Romantic Neutrals with classic gold and eclectic vibrant accents. 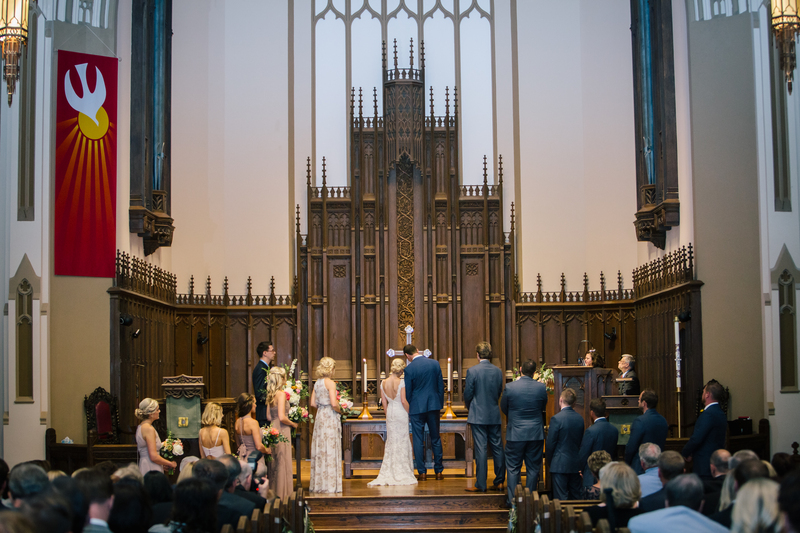 The ceremony was held at the beautiful Memorial Presbyterian Church and officiated by Keith Robinson. We clicked with Keith right away, Cindi, the church’s ceremony coordinator was on top of it, and the church itself is breathtaking. 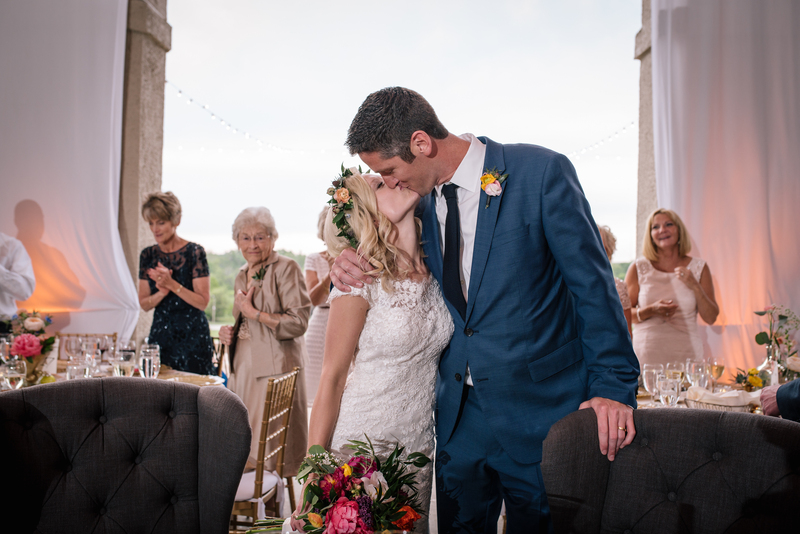 Thank goodness for my amazing planner, Allissa of Style Altard, and vendors- the amount of creativity that went into our venue to make my visions come to life was spectacular. Magical. 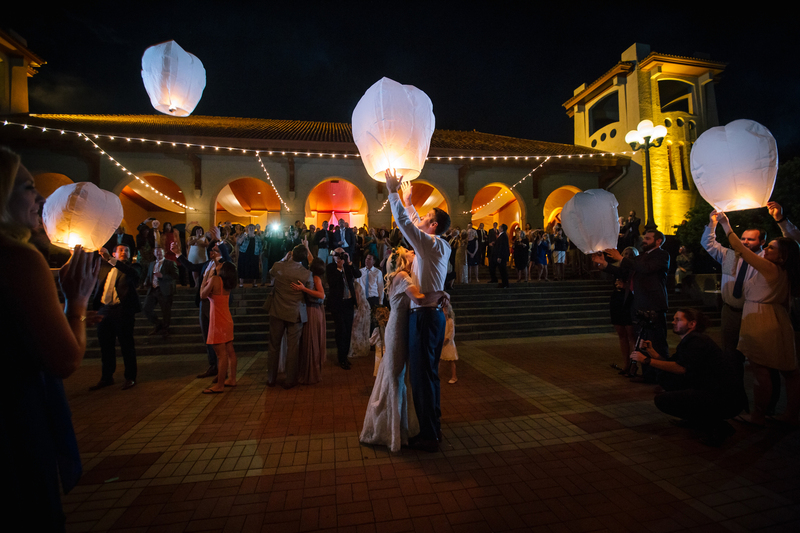 Exclusive Events did the draping and lighting of the venue which added the perfect amount of flowy romance. 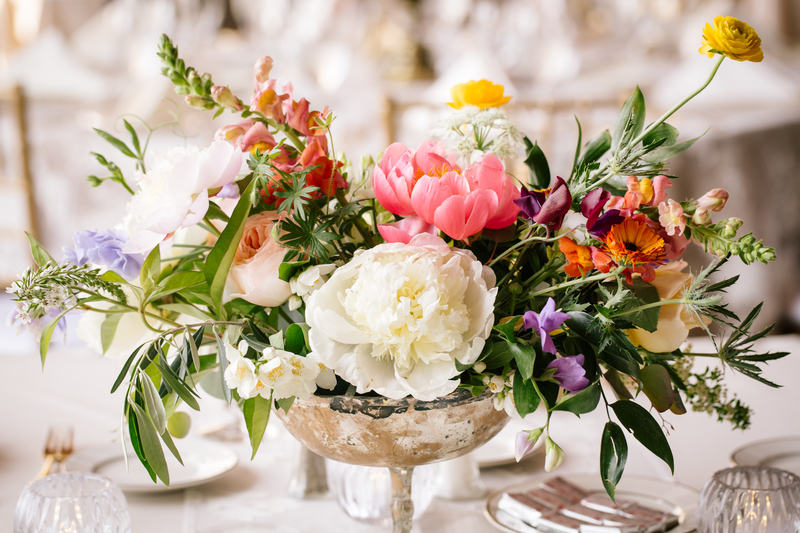 It was also important to me to have bits of our bohemian flair while keeping the look overall classic and elegant. 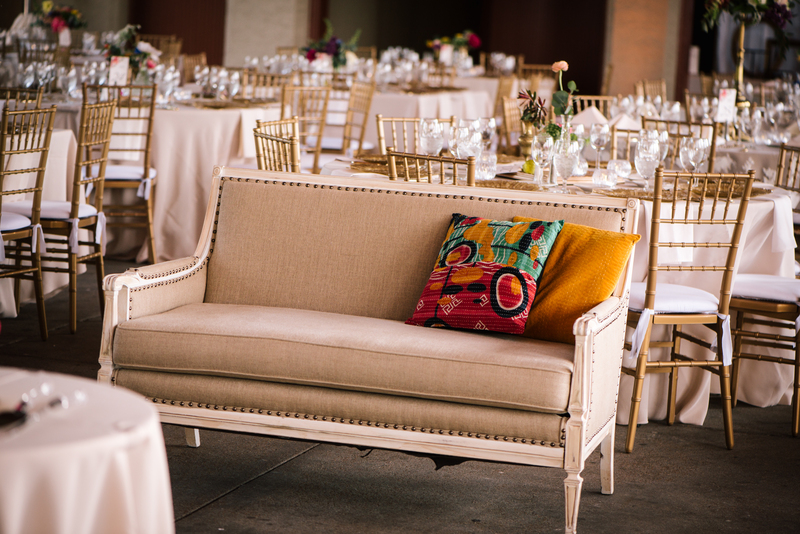 The pallet was overall neutral, paired the gold accents, and eclectic color thrown in with the flowers and furniture. We had an AMAZING sunset view and ended the night with Chinese lanterns. 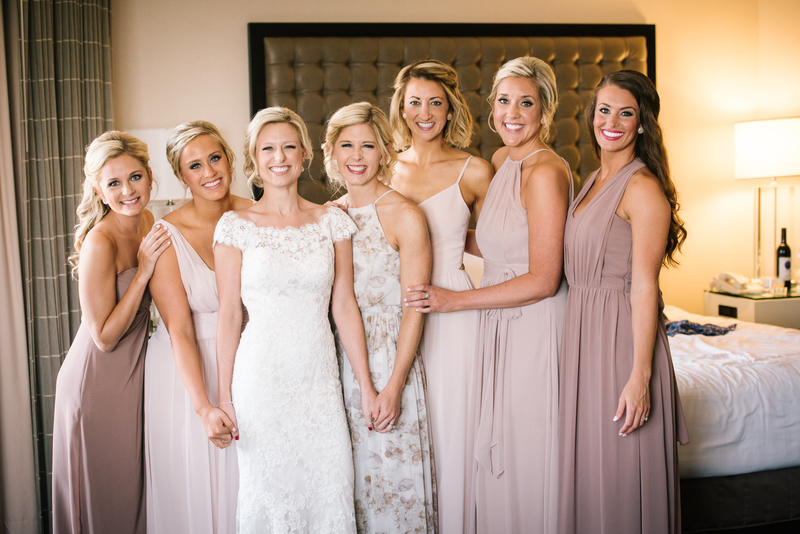 We worked with Caroline at the Bella Bridesmaids’ St. Louis, and she was amazing. She even stayed late with my planner and I to help brainstorm the tans and neutrals color scheme on our first visit. 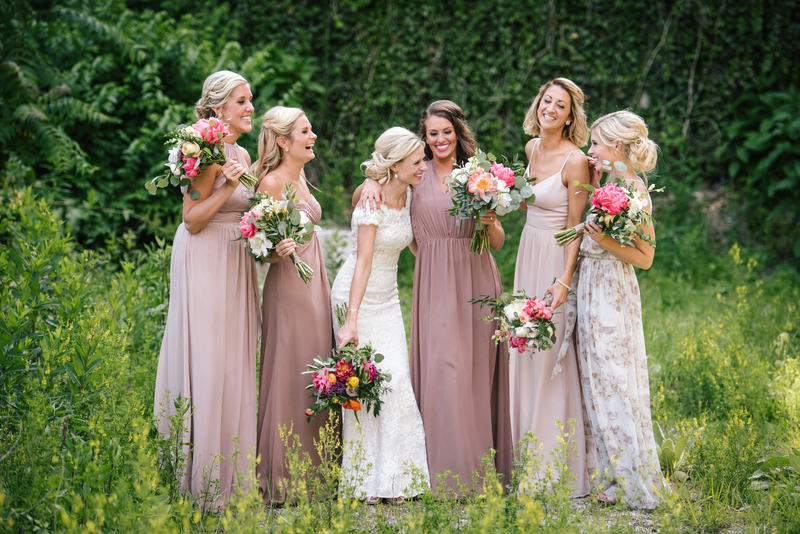 After I fell in love with the patterned Matron of Honor’s dress, Caroline pulled all of the color options (from several different brands) that could work with the dress and meet our neutral/tan vision for the remaining dresses. 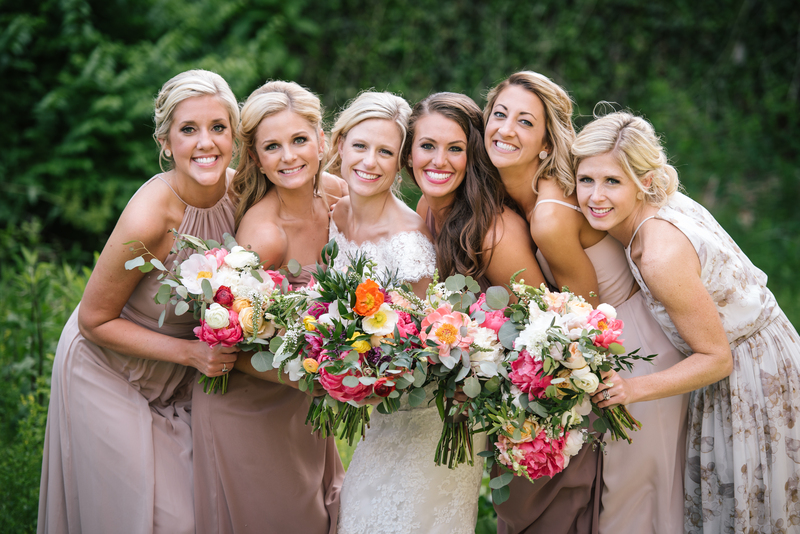 After moving them around, we decided on the colors that flowed the best and complimented each other. 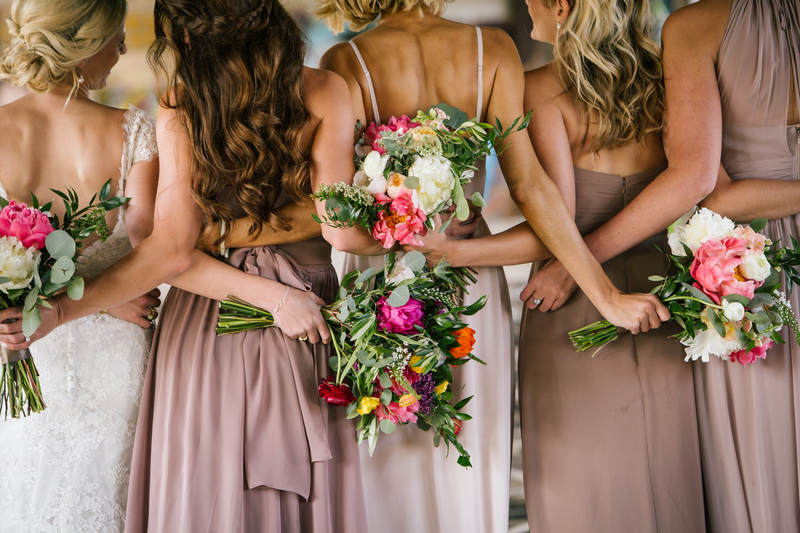 Since some of my bridesmaids lived out of town, I assigned them one of the selected colors with the option to choose their own style. 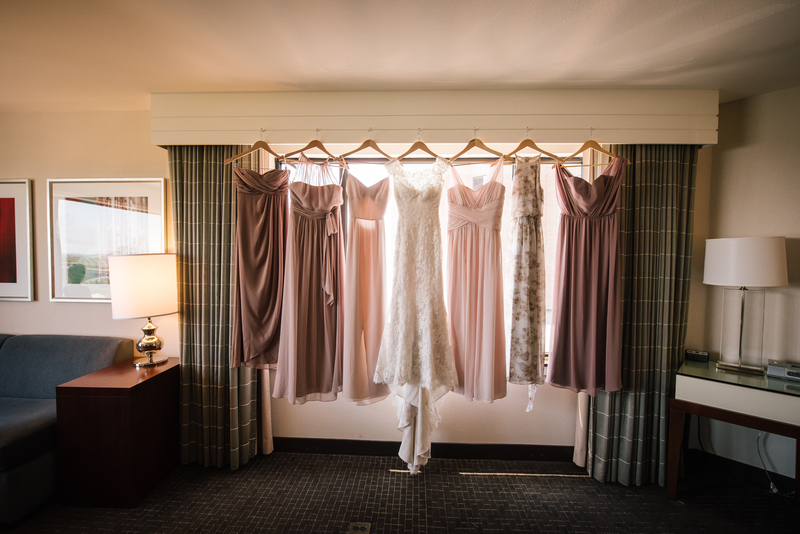 Caroline made sure each dress was in line with our vision prior to ordering them and made sure that each bridesmaid got the correct dress. She made the process so painless and easy. Hire a planner! Allissa made the dreams in my head turn into a reality! Honestly, I wouldn’t do anything differently. The day was absolutely perfect. I like to look at the day as one perfect memory!